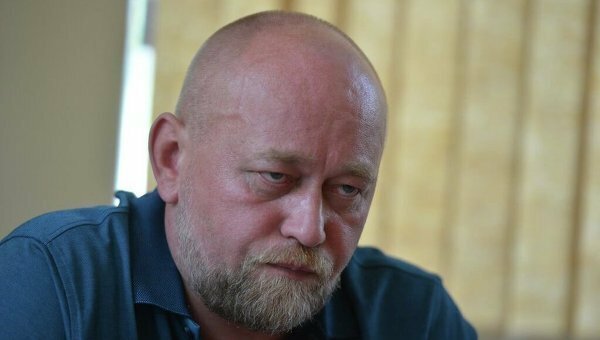 Shevchenkivskiy District Court of Kyiv adopted a decision on the extension the detention of Leader of Center of POW Release 'Officer Corps' Volodymyr Ruban. His lawyer Valentyn Rybin claimed this, Hromadske reports. Rybin claimed that the session took place on August 31. According to the adopted decision, Ruban stays in custody until October 30. The defense is not intended to file an appeal. Ruban was detained on March 8 at the Ukrainian checkpoint at the demarcation line of Donbas Conflict zone. It is stated that Ruban is suspected in the illegal handling of arms, preparation of a crime and terrorist action. Later the Shevchenkivsky District Court of Kyiv arrested Volodymyr Ruban, the Leader of Center of POW Release 'Officer Corps' for 60 days without a right to the bail. The Court extended the arrest on May 4 to July 2.